The 2000 Swarthmore Lecture by Tim Newell, reviewed by Ben Jarman. Tim Newell’s Swarthmore Lecture was delivered in 2000. Much has changed in prison and justice policy since then, and yet much of the confused thinking and practice, to which Newell offered an alternative, remain. If anything, the system’s contradictions are writ larger today than they were eleven years ago, with justice secretary Ken Clarke at odds with much of his party (and most of the right-wing press) over plans for a ‘rehabilitation revolution’. Somehow, these plans are expected to co-exist with strident calls for ‘tougher’ (that is more punitive) sentencing. The confusion is evident in the Legal Aid, Sentencing and Punishment of Offenders Bill, which is before Parliament as I write; it has been watered down from its ambitious beginnings, and the prime minister’s recent pronouncements on sentences handed down after the 2011 riots arguably reflect the government’s priorities more accurately. In short, the need for a coherent and realistic statement of the case for far-reaching reform is as urgent as ever, and Tim Newell’s lecture still speaks to that need. Newell begins by stating his own personal ideas, drawing partly on his experience as a prison governor. This is followed by a brief history of Friends’ interest in criminal justice, and a survey of recent developments (to 2000) in the system. All of these, while important and taking up a major portion of the text, are preparatory to the core of the lecture: a discussion of restorative justice in theory and practice, woven into which are chapters outlining the theology implicit in a restorative approach. In this review I will not concentrate greatly on this information about restorative justice, because it is well-covered elsewhere. For me, the most important parts of the lecture come when Newell turns his attention to the theory – the theology, in this case – that lie behind restorative methods and practices. The importance of these sections is that they state coherently a framework within which an irrational system could become more rational. I will concentrate here, as well as on the parts of the book that examine the cultural obstacles to change, both inside and outside prisons. This points to a key challenge for those who would seek to reform the criminal justice system. In responding to the harm caused to offenders by an irrational and punitive system, reformers will fail if they do not find ways to address the needs of the victims; these are what Lampen calls the ‘claims of justice’. How should we respond to the wrongdoing of others? Do we separate the crime from the criminal? Must we dehumanise those who have done wrong by having a system of justice that happens to them rather than working with them? Ironically (for a Quaker text), Forgiving Justice begins with a measured and subtle account of why and when prison is necessary. Having listed offences that he thinks do and don’t, of themselves, justify incarceration, Newell asks the question: where can we offer opportunities for dangerous individuals to seek ‘some other way of behaving’, if there are no prisons? This points to significant links between prison reform and social reform more generally, a theme I will return to later. But the quote above reminded me of an incident from my former life as a schoolteacher. In an A-level Politics lesson, one of my pupils argued with incandescent anger that (I paraphrase) anyone who had committed a crime had effectively broken a contract and had thereby forsaken all rights for all time. They could be dealt with as the rest of society saw fit. At the end of the same lesson, he reacted equally angrily when I said I would have to get in touch with his parents about his non-production of yet another essay. The irony was lost on him, though not on me. But for his aggrieved reaction, it would have been a good opportunity to reason by analogy. But that is the issue: righteous anger at crime can blind us to the fact of continued community with wrongdoers. As a Quaker, I sometimes delude myself that my behaviour is peaceful and patient, loving and kind. But if a stranger, catching me in a bad mood, bumps into me or moves to the wrong side of the line which, in my own mind, denotes my place in a queue, I react entirely differently than if it were my friend. This is a trivial example, and it is often the trivial things that bypass my ability to be sanguine. But what if something worse were to happen? Imagine your home is burgled. Certain items are stolen and others damaged, while you sleep upstairs, unaware of what has happened. Your burglar alarms are off, because you are in the house; a place of security is exposed as illusory. Though the incident involved no immediate physical threat to your person, you feel violated, uncertain, and fearful. The effects are viscerally negative, debilitating, and lasting. Though you know that you were as likely as anyone else to become a victim, you somehow cannot shake off the feeling of being under threat. If the offender is caught but pleads not guilty, an adversarial trial denies you opportunities to ask questions such as why it happened, questions that the accused person cannot answer without incriminating themselves. If they are found (or they originally plead) guilty, factors such as drug addiction and previous good character are offered in mitigation. The accused disappears out of sight, into prison. You know that they will be released in time. You are aware from media coverage that prisons are overcrowded, and that rates of re-offending among released prisoners are high. It is true that in this thought experiment, I have rigged the game by making detection and the courts function as they are supposed to. The system has worked. How satisfied are you? What place repentance (and forgiveness)? Criminal justice reformers often appear to me to adopt one of two primary focuses: improve the system for victims, or improve it for offenders. Of course, that is partly a result of the need to break enormous social problems into manageable chunks, but the two positions are seen, not least in media discourse, as irreconcilable and even fundamentally opposed. Forgiving Justice attempts to mark out common ground between these two positions. The effort to do so takes place in a chapter entitled ‘Theology, Justice and Forgiveness’. If people do not learn from being harmed, how then are prisons to achieve their aim of rehabilitation? Newell begins his attempt at a Quaker theological view of prison by drawing an explicit link between religion and crime. It is crime, he argues, that has replaced the concept of sin as society’s ‘measure of personal righteousness’. Taking in the insight that for those in prison who intend to desist from crime, a period of incarceration marks an opportunity for repentance, Newell suggests that punitive prison sentences, rather than being per se an appropriate reaction to a crime, serve to communicate the community’s indignation at a criminal act. This could provide offenders with an opportunity to make an appropriate response to that indignation. The crucial point in this section of the chapter is that reform is not something that is ‘done to’ the offender, but instead something that involves them as a moral agent – a subject, not an object with no moral standing. What, then, are we to expect of a victim who has suffered a wrong, and where the offender is unrepentant? Newell is wise (and realistic) to point out that forgiveness is not a substitute for justice, but ‘a framework in which the search for properly understood justice could be followed’. He poses another question worth asking: ‘Should we persuade ourselves that forgiveness is invariably good for mental and spiritual health, whereas vindictiveness is bad?’ Forgiving Justice did not leave me clear about Newell’s direct answer to this question (which is a pity), but what I think is clear is that he understands forgiveness, like repentance to be the willed act of a moral subject. It cannot be one that is imposed, so that a justice system which compels it, rather than providing a framework that enables and encourages it, would not be worthy of the name. Nor is the focus on forgiveness in any way naive; at no point is the effort and challenge involved underplayed. One sentence from the lecture that has stuck long in my mind is this: ‘Redemption from the passive suffering of victimisation cannot happen without the active suffering of forgiveness’. This approach implies that repentance and forgiveness lead to the reconstruction of links between individuals and their communities; for the criminal, it is the chance to put right a wrong, for the victim, a chance to escape victimhood. In both cases, the decision to repent and forgive is a liberating act, which allows both sides to reassert their subjectivity, and control over their lives. To that extent, the question of whether forgiveness is invariably good is a decision that must be taken by those wronged. There is certainly no tone of disapproval when Newell notes, in a section discussing the experience of deciding whether to forgive (something which we have all had to do), that at some times forgiveness is easy, but ‘other cases may not have been so easy … there may have been so much pain inflicted by the other person that we feel unable to forgive even though it may seem to be the right thing to do’. ‘Forgiveness is an important issue in our lives with our families and friends. Translating that idea to our concern with crime and punishment may not be so readily received … it is in making such connections between the formal and the personal that there can be a transformation in our experience of our institutions’. Why is it that we have difficulty forgiving a stranger for acts which, had they been committed by a loved one, we would readily forgive? This question seems to me to go to the heart of criminal justice debates, because it concerns what kind of community we believe society to be. It is a typical Quaker insight that the content of a belief lies in how it is practised, not how it is described, and as Newell points out, ‘forgiving is an intense personal experience in which feeling about the other person is central’. What is the extent of, and how should we practise, relationships with those with whom we co-exist in society, but who have no other necessary connection with us. How do we practise the mutual recognition of rights and responsibilities, in which our social co-existence is synthesised? Newell says that the first step is the reconfiguration of how we run (and think about) our criminal sanctions, including (and perhaps most especially) prison, so that they contain more opportunities for restoration, more structures that allow offenders to understand the effects of, and take responsibility for, their actions. Responsibility cannot be imposed, and Newell offers numerous examples from the work of restorative practitioners, drawing both on times when such practices have benefited offenders and victims, and on examples where efforts to encourage active, willed, responsible behaviour have succeeded alongside, and instead of, the ‘traditional’ justice system. Forgiving Justice makes the point that the approach Newell proposes ‘would require a much greater response to crime from ordinary citizens’, both in terms of a psychological acceptance that offenders remain part of the community (while still having to restore and repair broken obligations and the harm created by their actions), and in participation in such initiatives as community safety and crime prevention partnerships, of which Newell offers numerous interesting examples. The model of repentance and forgiveness offered here is one that holds out the reward not only of offenders performing restoration by turning their lives around, but also of then using the insight and expertise they have gained to help others. One of the ways in which this model has developed in recent years has been the greater involvement of ex-offenders in the leadership of such programmes, particularly in relationships where they mentor other offenders. Such peer mentoring programmes are valuable because they draw on the expertise of those who have desisted from crime, and place it at the disposal of others who wish to do so. There are enormous benefits also to be gained here in changing community perceptions of offenders; the visible proof that with the right support, even persistent and prolific offenders can play a positive part would, if reported, go a long way to countering punitive narratives in the media (though this is not Newell’s main concern here). The rest of that chapter examines the parts of that paradigm, how they would need to change, and where change is already visible. At the time that Forgiving Justice was written, Newell felt that there were some crucial shifts happening in some of the six elements that he identifies as parts of the paradigm. In many ways, and despite considerable political interference, the power structures, organisational structures and control systems (in the sense of models for how resources should be distributed and needs assessed) have shifted in criminal justice. Yet Newell pointed out that efforts to achieve paradigm change often founder on their failure to change the routines and rituals around criminal justice, which themselves express cultural myths (for example. ‘punishing wrongdoers solves the problem’). A chapter of Forgiving Justice is given over to identifying the most powerful cultural myths that sustain punitive attitudes. There are some signs that practitioners and academics in the sector are starting to examine these problems more widely. Criminologists of desistance such as Fergus McNeill and Shadd Maruna make the point that while the system has a series of highly formal rituals that express indignation and condemnation of wrongdoing, they provide few if any rituals in which society may express its approval of a more positive approach. It may well be that this is not the role of the criminal justice system, but instead of the community; on that level we all have a role to play if we wish to see a reduction in crime, by asking ourselves what we do to help reintegrate ex-offenders, reinforce their successes. Most important is finding a way to express indignation and non-acceptance of criminal acts, but also leaving the door open enough that an offender who is motivated may step back through it to an acceptable lifestyle. I found Forgiving Justice difficult to like on first reading. 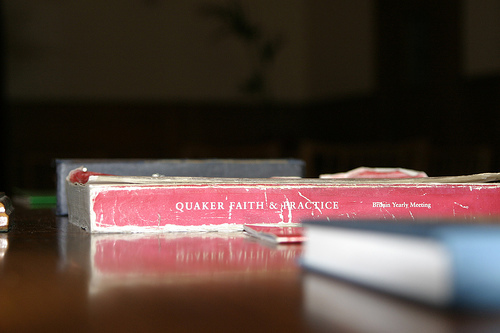 I think that Quakers’ radicalism often means that we do not make adequate compromises with practicality. When I first read it, I was initially taken with the explanation of the necessity of prison in the society we have at the moment, but as the discussion moved back towards Newell’s account of forgiveness, I became more and more impatient with what I saw as idealistic, impractical ideas. However, my second reading of it unfolded a great deal of the radicalism of Quaker testimony. Newell’s account of a workable and humane justice system is compelling. The fact that it raises such profound implications for wider social change tells us not that its ideas are wrong, but instead that society is far from where it needs to be. Forgiving Justice is not a detailed blueprint for change, but an indicative account of where we are wrong. Some of what has happened since it was written have been encouraging, but Newell is right to pinpoint cultural myths as key to radical change. He makes the case that Quakers have the resources necessary to demonstrate that another approach is possible. And while the evidence of the riots this summer suggests that we still have a long way to go, Forgiving Justice left me thinking a lot bigger about the aims of my own work than I had done before; to that extent, it has changed my understanding of how to witness the Quaker testimonies. It has much to offer, both as a guide to the kind of justice we might want, and as a map of the kind of obstacles to change we will have to overcome. Forgiving Justice is available from the Quaker Bookshop for £12. Ben Jarman blogs at http://benjarman.info/.